In a Nutshell: While digital technology transformed air travel by unifying airlines on a single ticketing platform, bus and train carriers remained stuck in the past — each with its own digital ticketing system or sometimes no system at all. Wanderu changed that. 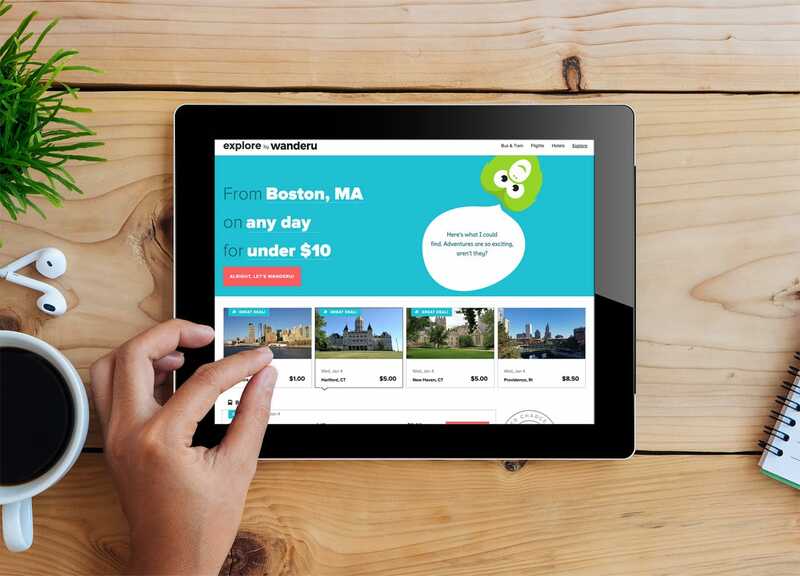 Now, travelers in more than 40 countries in North America and Europe use Wanderu to book itineraries and find the best deals across the entire bus and train travel marketplace. Wanderu, a platform for booking great bus and train travel deals to over 10,000 destinations in more than 40 countries in North America and Europe, was born out of necessity — with a little bit of random good fortune thrown in. After attending the same high school, Polina Raygorodskaya and Igor Bratnikov did what most people do — they moved on to their own lives and careers. Raygorodskaya started a boutique fashion, travel, and luxury lifestyle PR firm after earning a business degree. Bratnikov earned a degree in electrical engineering before studying law and went on to establish himself as a specialist in business operations and patent law. It turned out, however, that the pair had more in common than attending the same high school. They also shared an interest in environmental issues and eco-travel, meeting up again as members of GreenXC, an organization created in 2011 to raise awareness and funds on behalf of national parks and forests. The young professionals of GreenXC connected with one another via blogs and social media and set up rideshares with like-minded individuals to travel from park to park across the country, documenting and sharing their experiences and soliciting donations along the way. Wanderu Co-Founders Polina Raygorodskaya, CEO, and Igor Bratnikov, COO. Photo credits: Julia Levine. But ridesharing, for all its eco-friendliness, is an imperfect mode of transportation at best. When a ride Raygorodskaya and Bratnikov had arranged canceled at the last minute, they turned to what they assumed were more dependable means of ground transport — buses and trains — for a quick solution. In hindsight, what the two entrepreneurial-minded friends did next seems predictable. 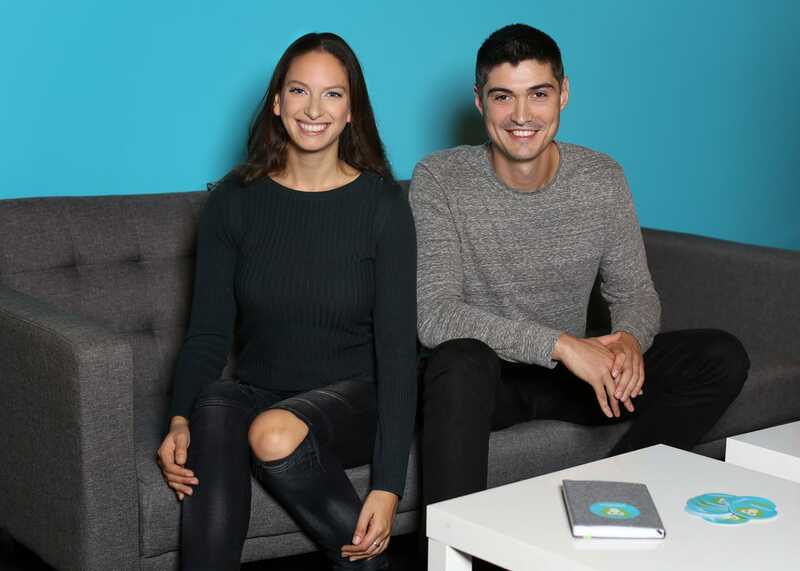 “They saw a gap in the market and an opportunity for a business — and they set out to create Wanderu,” Dobrev said. Raygorodskaya and Bratnikov’s motivation came when they realized that millennials like them often actually prefer busses over planes. As Raygorodskaya has explained, more people travel by bus than by air in the U.S., with millennials favoring not just the price savings but also the constant internet connectivity, better comfort and convenience, and scenic views available on the ground. As the two co-founders did their due diligence and began to construct the platform, they quickly realized why it hadn’t already been done — booking technology for ground transportation lagged far behind what competitors in the air transport industry offered. “While most airlines used essentially the same ticketing system, pretty much every single bus and train carrier had their own ticketing technology or sometimes no digital ticketing technology at all,” Dobrev said. That’s why platforms for searching and booking air travel across carriers developed more quickly than did Wanderu’s bus and train solution — the air carriers themselves made it more technically feasible. If Raygorodskaya and Bratnikov had been looking for flights on the day their rideshare canceled, they would have had an easy time of it. “That was one of the biggest challenges the company had to face at the beginning — figuring out how to make it possible for different carriers to live on the same platform,” Dobrev said. The result is a straightforward web service that finds trips ranging from city-to-city jaunts that can cost less than the price of a tank of gas to days-long, cross-country odysseys that are perfect for experiences that go beyond the regimentation of air travel. All of that being said, it would be hard to argue against ground transport even if the price were the only advantage. That’s because of the way carriers use what’s known as dynamic pricing, where prices increase based on how many tickets for a particular trip have been sold. “If you search ahead of time, you can find really good deals,” Dobrev said. By “really good,” Dobrev means as low as $1. Bus carriers often offer that rate for the first seat sold on a trip. After the $1 ticket sells, the next set of tickets might sell for $5. After a certain number of those are purchased, the price continues to increase. “As long as you book in advance, you’re able to score those deals,” Dobrev said. If you’re booking at the last minute, you’re covered there, as well. Sometimes, a carrier will sell out of a certain trip and add a second bus for that same slot. The seats for the second bus will start again at the lowest price. 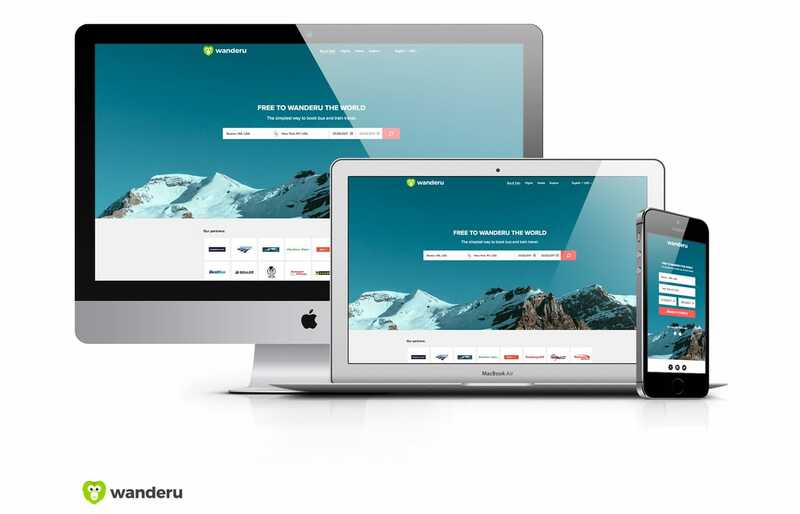 The Explore link on Wanderu’s website points users to the tools needed to locate those bargains. Along those same lines, Dobrev has prepared a Wanderu blog entry listing the destinations travelers can reach from the 50 biggest cities in the U.S. for under $20. It also includes a list of routes for which there are usually $1 deals available. A visit to the Wanderu website or mobile app reveals a little green monkey named Chiku, who pops up on the Explore web link and elsewhere to serve as a concierge of sorts. In building the Wanderu brand, Raygorodskaya and Bratnikov sought to connect with their own love of wandering, first as GreenXC eco-travelers and even perhaps as entrepreneurs exploring ways to build a lasting company. Chiku is part of that story. Although Wanderu has always used a wanderoo monkey image as part of its brand, Chiku arrived only after the site visually rebranded a few years after its start. “We named him Chiku after the wanderoo monkey’s favorite food, the chikoo fruit,” Dobrev said. Chiku has enjoyed a great response from Wanderu users, and he’s being positioned to take a greater role in the company as it continues to grow and evolve. While continuing to expand bus and train bookings to more countries, Wanderu has also recently incorporated ferry travel services. Air travel functionality currently exists on the site as a third-party add-on. The next step is to incorporate air travel results alongside all the other results available on the platform. That means busy schedules for Chiku and the rest of the Wanderu team — and even more travel options for wanderers everywhere.